The CoffeeShop Blog: CoffeeShop Thinking of Spring Textured Papers! CoffeeShop Thinking of Spring Textured Papers! I had some fun putting together a new pack of textures/digital papers and wanted to share them with you. I used my fabric texture action and also some patterns from Pixels & IceCream. I made 12 different papers and also included a fabric overlay with a vignette. If you want a vignette on any of the papers, just add this overlay on top and put it in soft light or blending mode and flatten. I hope you enjoy these new textures! 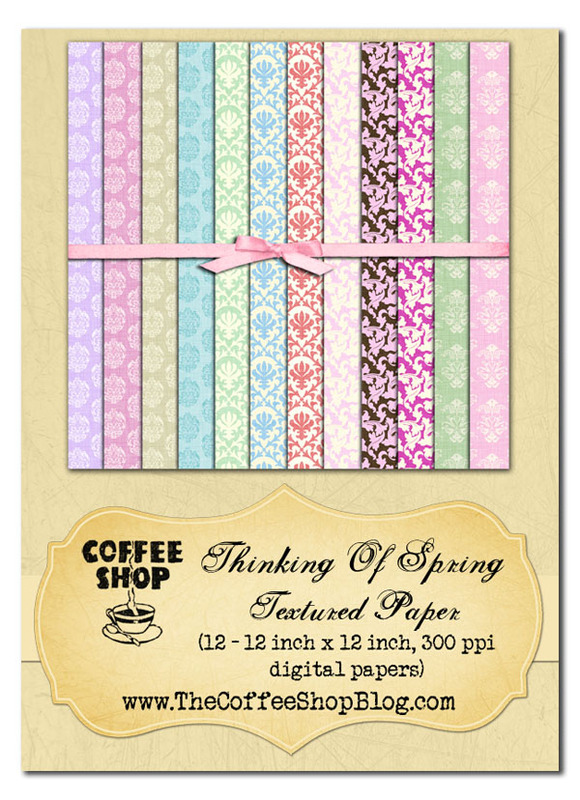 Download the CoffeeShop Thinking of Spring textured papers at Mediafire. I can't get over how awesome you are! I love all your actions and textures. They are so easy to use and I love how I can adjust to taste on everything. You truely are amazing! Thank you, thank you, thank you!! You rock!! thank you, I love them -- not sure I'm using them as well as I could be. tutorial? Hello dear Rita :)I love all your actions and textures.Thank you very much:) With best wishes from Daiva. These are beautiful digital papers, thank you so much. Your generousity is amazing. Kathleen. Well, it helps to know where to click! Thanks so much for al your pretty work! Thank you so very much. Love all of your stuff, Thank you for being so generous.